Over the weekend I was reminded of how difficult the pain of this world can be. One of my dear friends lost her daughter to the fight of disease. The same disease that will most likely usher her other two daughters from this world. The same disease my own sweet Taylor has. When I heard the news of my friend’s loss, I felt distressed to the core of my being. I’m guessing you’ve been there. Distressed means to be feeling extreme pain. I know some of you are feeling extreme pain today. Whether physical, emotional or mental, the trenches of pain make it seem impossible to take one more step. 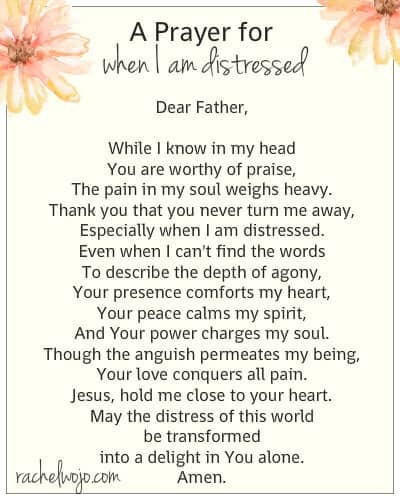 My heart’s cry today mandated that I stop the agenda and share a prayer for when I am distressed. Feel free to use it as your own. The pain in my soul weighs heavy. Especially when I am distressed. And Your power charges my soul. Your love conquers all pain. Jesus, hold me close to your heart. into a delight in You alone. I started crying immediately before finishing the first two sentences. You have alerted me to the disease Taylor and her daughters have. I ache all over in pain for what you women are experiencing. Be assured I will keep you in my prayers for a long, long time. May God strengthen you both daily. Thank you for sharing the burden, Lucy. God is good! He is with us and never leaves us alone. Of Jan one of my sisters was tired of the physical pain she was in and took her life with a gun. This is hard. I am sorry for her pain but hard to deal with her choice. I am so sorry to read your words and try to understand the circumstances you are dealing with. God be with you. Praying for you right now, Linda. God Bless you Rachel, your daughter and your dear friend. You are a true inspiration to me and many women!! Thank you for sharing the prayer of distress that will definitely help us in those difficult times. I will keep you in my prayers always, as well as your friend. thanks so much for your prayers, Janet! Thank you so much. I woke up this morning with the weight of all the current trials and ‘unlovelies’ of our current life situation weighing heavy on me. 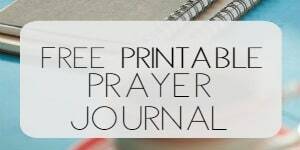 “m printing this prayer and including it in my Docmented Faith journal for today. Thank you for sharing this prayer. May God strengthen you & your friend dailey. Thank you for this beautiful prayer. It was exactly what I needed. 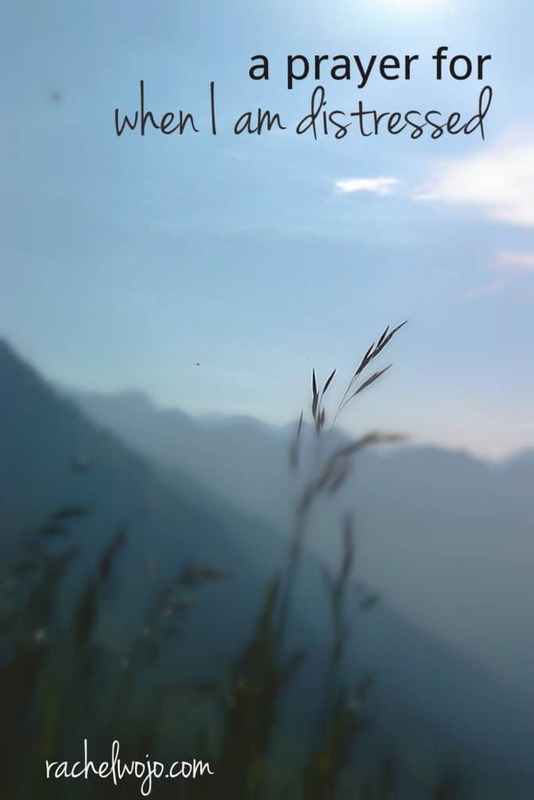 Thank you so much for helping me see my troubles in perspective. 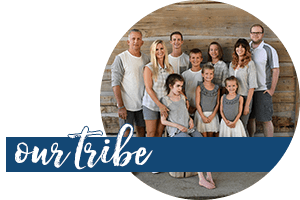 I am having a hard day homeschooling, but my worries and distress pale in comparison to situations mentioned in the blog post and the comments. You are all in my prayers today. Thankyou for showing me that my undone to do list is unimportant compared to eternity. Thank you for guiding me to look to Jesus to help my current situation. My day is transforming already! I had to share this with all my friends who are also struggling with chronic illnesses, like myself. BEAUTIFUL PRAYER FROM A BEAUTIFUL WOMAN, INSIDE AND OUT!! thank you so much, Susan!! Ma’am exactly what week are y’all on in the bible study challenge. Thank you and God bless! Day 17 for the True Love Bible Reading Challenge! 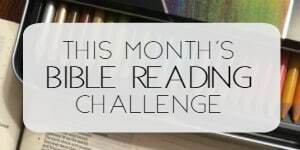 🙂 Here’s the link: https://rachelwojo.com/true-love-bible-reading-challenge/ You’ll find more details there and the printable or digital schedule! Enjoy and God bless! Words fail me right now. My heart and prayers go out to you and your friend.